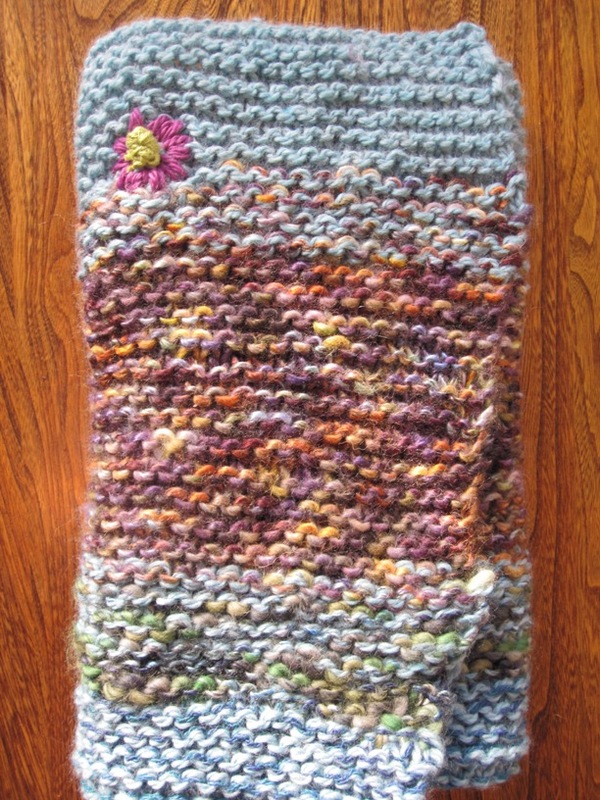 this is another blanket that i made for my grandson ... a blend of a few different yarns (cascade eco, murrina, and others. 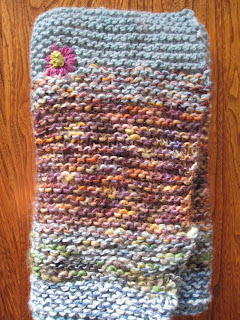 the flower is free hand stitching with some cotton yarn that from the first blanket i made for him. (i let the muse show me how and where ) . my artistic heart sings at the freedom and the love that goes into each and everything i create. i have only been knitting for a few years. tried to learn when my daughter was a wee one. i wanted to knit a pink scarf for her, and when i tried, the tension was so tight that the needles would no longer move. i'm sure that some of you have had this experience. well, over the years, i have learned to go with the flow, and my knitting is a great source of joy and relaxation. almost meditative at times. currently, i knit using the garter stitch. i'm happy with that and have been toying with the purl stitch and some others which i know will add some interesting textures to my work. a photographer friend of mine is going to take some good images of my current projects..i'm so thrilled to be able to make things that are unique and creative and freeing. i see landscapes in most everything, and that is reflected in my work. I hope you'll keep showing your work here, I love seeing it!